Jamie Mulkey is Caveon’s Vice President of Sales Enablement. In this role, she provides client account management and sales for Caveon. Her current focus is working with clients to design pre-emptive policies and processes that protect their most important assets – their assessments. Dr. Mulkey is also the Executive Director of the Certified Exam Security Professional (CESP) program, which provides credentials to test security professionals. Dr. Mulkey has a distinguished history, holding major positions in testing organizations, certification task forces, and testing-related non-profit associations. As a Caveon founder, Jamie was a major contributor to shaping the testing industry’s discussion around test security and bringing test security services to market. Prior to working for Caveon, Dr. Mulkey worked for Hewlett-Packard (HP) for 16 years in a variety of technical training curriculum and project management functions. Jamie managed three different certification programs while at HP and was part of the team that managed the merger of HP/Compaq certification program. While at HP, Dr. Mulkey was on the leadership team that developed the HP Women’s Conference. She also contributed to a cross-functional workforce readiness design team with the local high school district. Dr. Mulkey has held a number of leadership positions in the testing industry, including: Board of Directors for the Institute for Test Security, Chair of the Board of Directors for the Association of Test Publishers (ATP), Chair of ATP’s Security Initiative, American National Standards Board (ANSI) Personnel Certification Accreditation Committee (PCAC) member, jCert Initiative board member, and member of the Editorial Board for Certification Magazine. Jamie is currently working on a security initiative for the Workforce Skills Division of ATP. 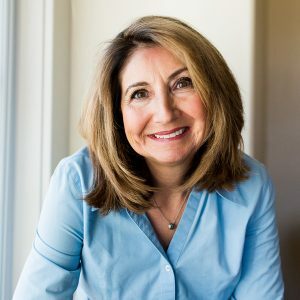 Jamie holds a Masters degree in Instructional Technology from San Jose State University and a Doctorate in Educational Psychology and Technology from the University of Southern California. She received outstanding research awards from both of her graduate school programs.